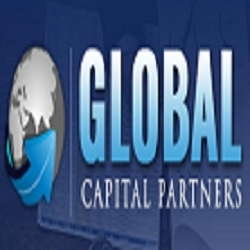 Commercial lenders based in New York City, Global Capital Partners provide a number of attractive financing options to commercial real estate investors. New York, NY, January 04, 2019 --(PR.com)-- As an independently established funding brokerage, GCP provides flexible financing solutions to those looking to invest in real estate development. In addition to offering tailor-made funding options to investors interested in buying raw land, they also offer private financing for residential property investment, commercial real estate, and other real estate investment ventures. Real estate investment is a booming business in the U.S. right now and more and more investors are attracted by the security and high ROI that real estate investment offers. Once up and running, real estate investments can provide a steady passive income stream. However, investing in raw land is not without its fair share of risks; from zoning restrictions to limited access to utilities, in addition to not getting a steady income for some time. This is why conventional banks don’t usually lend loans to finance private investors looking to acquire and develop raw land. This leaves investors with limited funding options. Commercial lenders, such as GCP, are a godsend for those looking for real estate financing options. Starting from acquisition of the land all the way through construction on the property, GCP provides commercial real estate financing solutions to real estate investors, owners, and developers. Some of their real estate financing solutions includes bridge financing, acquisition financing, private lending, construction financing, permanent financing, and more for commercial properties around the globe. Their expertly-crafted real estate investment financing solutions are specifically designed to help investors and developers with their financing needs. With a feasible repayment strategy, they are one of the area’s go-to commercial lenders. Joe Malvasio has an experience of 30 years as a lender and is the president of Global Capital Partners.They help facilitate clients with commercial lending and acquisition financing projects. He has recently closed a deal worth $1 million on one of the most prime locations in Tribeca, New York. Joe Malvasio can be contacted through the following channels.